I am so happy that I had Phil as my instructor as he is very patient and also makes learning fun. 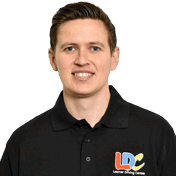 The client-based learning that the LD System uses really worked for me and will definitely work for many more students to come. I couldn't recommend a more professional, caring and fun instructor than Phil. I had a blast learning this lifelong skill with him. 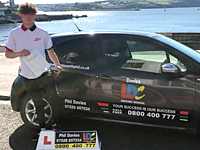 I'm a driving instructor in Plymouth, Tavistock, Ivybridge, Yelverton and surrounding areas.